As a response to the call to provide relief goods to the identified areas, conduct psycho-social and medical services, and to document stories and cases of human rights violations, the NCCP sent a four-person delegation to the National Interfaith Humanitarian Mission (NIHM) in Marawi City spearheaded by Kalinaw Mindano last June 13-16, 2017. Ms. Johanna May Dela Cruz, Mr. Joselito Sosmeña, Ms. Hannah Grace Santillan and Rev. 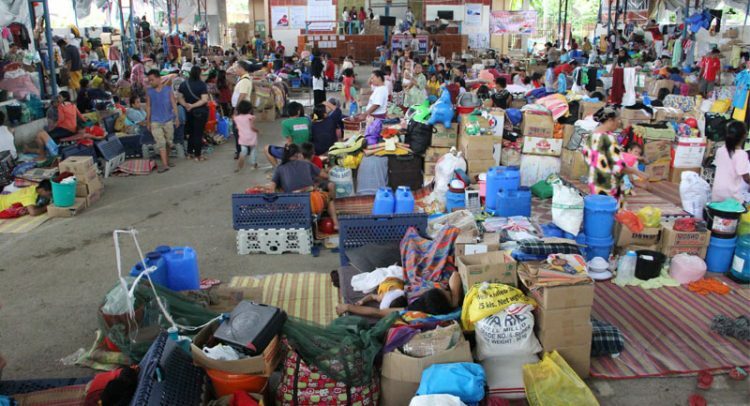 Irma Balaba from the NCCP program units on Faith Witness and Service and Christian Unity and Ecumenical Relations have witnessed the grave humanitarian crisis as they visited the different home based and evacuation based centers. “Evidently, the internally displaced persons (IDPs) are suffering from the scarcity of relief goods particularly to the unaccounted families staying with their relatives, the lack of potable water, sanitation facilities and infrastructures for temporary shelter,” said Sosmeña. The impact of Martial law extended not only in Marawi City but also in other parts of Mindanao like in Matan-ao, Davao del Sur, Brgy. Roxas in North Cotabato and Maguindanao. “While the Lumad in Matan-ao, Davao del Sur were already suffering from the military atrocities even before the declaration of Martial Law, it worsened this time as the military intensified their operation in the lumad communities,” said Dela Cruz, who was assigned in Matan-ao together with other sectoral organizations. The call for unity to lift Martial law was a highlight in the NIHM solidarity night. “We, Moro and Christian people have so much to unite with as we respond to the current crisis in Marawi. We are one in our call for the lifting of Martial Law and for the government to investigate the impact of the aerial bombardment to the lives and properties of thousands of civilians,” said Rev. Balaba. The result of the NIHM was publicly presented during the forum by the NCCP in partnership with the Moro Christian Peoples Alliance (MCPA) last July 29, 2017 at the NCCP Ecumenical Ministry-Church of the Risen Lord, UP Diliman, Quezon City which was attended by the NCCP member churches with Moro and Lumads from Mindanao.